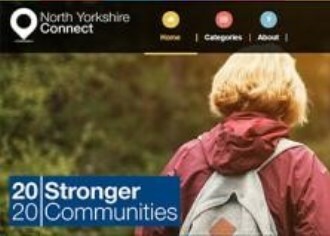 The North Yorkshire Connect project was created in order to provide residents of North Yorkshire with a single information repository in accessing details of services, support organisations, activities and things to do within North Yorkshire. Some of this information was already available online, albeit in a variety of hosted websites and the information was presented in multiple different formats, providing an inconsistent customer experience and also being time consuming and difficult for the customer to find the specific local information they required. Much of this information was also out of date, reducing the customers confidence in the quality of the information that they were being provided with. The cost of hosting these websites and the resources spent on updating and maintaining the information was not sustainable and it was agreed that a new approach and a new product was needed for residents to provide them with a consistent user experience, up-to-date information and a one-stop-shop for finding out what community services were available within their locality. The underpinning data sources were held in a variety of different formats, so it was agreed that standards specified by iStandUK would be used. After a great deal of consultation with the public and many voluntary and support organisations via multiple `Design Jams’, staff within the Technology & Change department created a new Community Service website for use by North Yorkshire residents. Existing datasets were revised to meet the data standards specified by iStandUK to ensure that key information about the service or organisation was collected, recorded and presented in a consistent format. In addition the North Yorkshire Connect website allows users and organisations to `self serve’ by uploading their own information directly onto the website by populating key fields as specified by iStandUK. The previous iterations of this website required an average of 1,500 hours of administrative maintenance each year to manually add and review listings which is no longer required. The council has also saved further costs by hosting and managing this website in house. Feedback from customers on the new website has been extremely positive and the use of an agreed data standard for community service information within the council means that this information can easily be re-used and shared with other public organisations and within the voluntary sector. The benefits of the application of data standards are not always obvious within a large organisation, however, the amount of time and effort required to combine multiple data sources, all containing different fields and a variety of information being collected and recorded in different formats in order to provide a consistent view of this information meant that much time and resource was being wasted unnecessarily and a better way of doing things was required. Although it was initially a challenge in selling the benefits of utilising data standards, these are now recognised as having value in achieving data consistency and interoperability between services as well as partner organisations and will be a strong driver in our next big project of delivering a single view of a customer across the organisation.